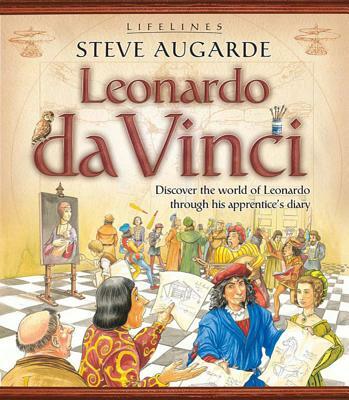 At just twelve years old, Paulo becomes an apprentice to Leonardo da Vinci, the brilliant artist and inventor. Dull is not how Paulo describes life in Leonardo's busy studio. There are floors to sweep, paints to mix, errands to run, and drawings to be made. But there are mysterious events, too. Another apprentice is not all that he seems, and an evening visit to a hospital uncovers some very interesting happenings… Paulo's diary tells of an exciting moment in Renaissance Italy; it's a young boy's insight into a fascinating time and place and his glimpse into the mind of one of the world's greatest geniuses, as well as a story told from the heart.